Abstract: In the Micro-era, information spreads faster, with the contents of strong impulsive force and shock power. From the process of network's flowing deformation, it has experienced a process from addition to subtraction. So does the exercise. 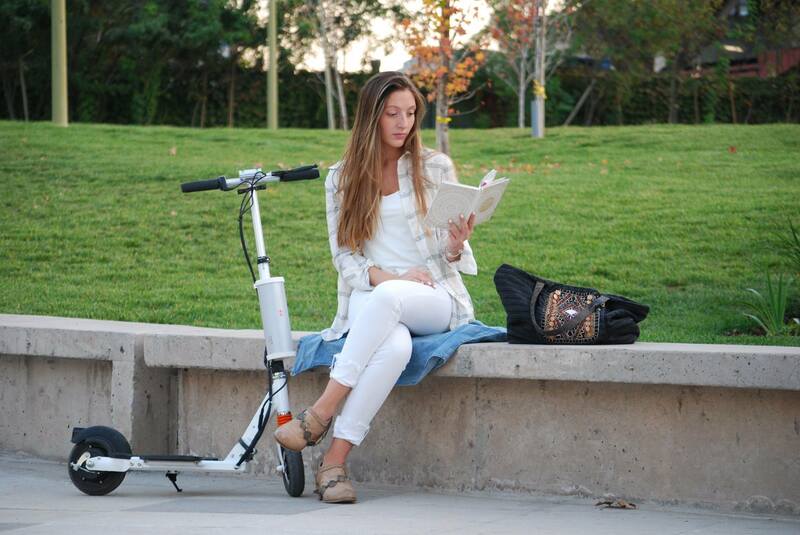 Speaking of micro motion, you may need Airwheel mini electric scooter. From the process of network's flowing deformation, it has experienced a process from addition to subtraction. For instance, Twitter and other microblogging products bring not just the new form of the Internet, but also a new pattern of media communication. They gather every tiny individual in an outsourced news way, driven by "micro-information" and "micro-communication" to promote "micro-revolution.” Things go the same in the exercise sector. People feel reluctant to go out and one of the serious consequence is their declining health state, as the air quality worsens, the haze and fog become more common in the city. The current environment in the city raises the public concerns. The good news is public can have micro motion on Airwheel electric scooter, green and effective. Surveys have shown that over 50% has been in sub health, especially these white-collars are in a dire need of exercise. Firstly, Airwheel mars rover with small size and fast speed can facilitate daily commute by getting rid of traffic jam. Also, riding Airwheel is an innovative way to work out which can help people release work pressure, and relax the body parts. For many commuters, it is particularly effective to relieve shoulder pain. After a regular ride, it can be also conducive to slight scoliosis correction. Thirdly, for office workers, being sedentary is inevitable, but sitting in front of the computer is easy to make the body's circulatory disorder, decreases metabolism, and even all day brain is in a comatose state. They can take some time off to ride Airwheel in the office. Because of the mini size, Airwheel can come and go easily in any narrow space, and the magnetic levitation motor causes no noise so that it will not affect the work of other colleagues. After work, they can ride Airwheel intelligent folding electric scooter home. Such micro motion is most effective to enhance the physical health status, and is the easiest to stick to for a long time. Previous：How To Evaluate The Artificial Intelligence(AI)?